When it comes to cleaning my makeup brushes I always used to use baby shampoo. It’s cheap and cheerful but it takes forever swirling the brushes in a sink filled with shampoo water, they seem to take ages to dry and the opinion on whether it’s actually good for them is divided. 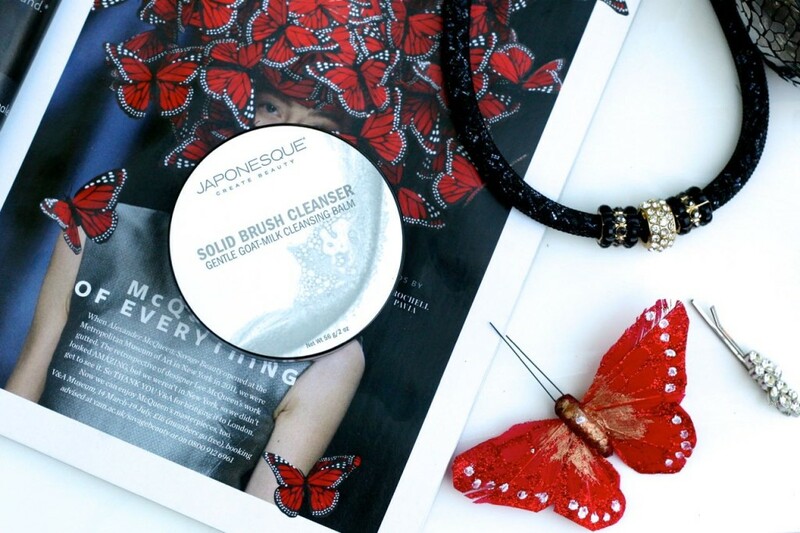 Call me crazy, but since I’ve invested a bit more in some of my makeup brushes I wanted to make sure I was using the right product for cleaning them, something that both protects and deep cleans and I’m so glad I’ve discovered the Japonesque Solid Brush Cleanser. 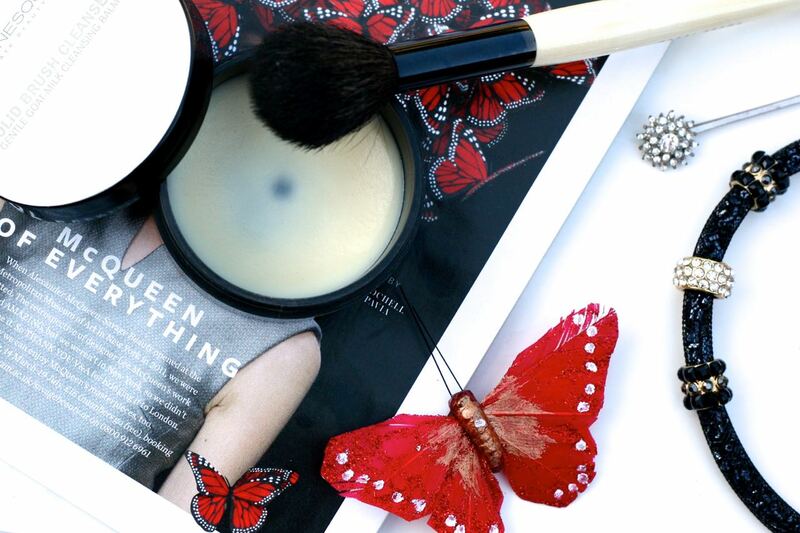 This is a gentle goats milk cleansing balm which is so easy to use. All you do is wet the brush head with water and then swirl the brush over the surface of the balm. You’ll automatically see your makeup dissolving after which you rinse of the brush with clean water and voilà, you have squeaky clean makeup brushes. For your really dirty brushes just repeat as necessary and you just need to make sure you run the surface of the balm under tap water to remove the makeup residue or wipe it clean with a tissue. Cleaning makeup brushes isn’t the most exciting of tasks but with this I find it so much easier. I’m running out of this and that’s after 12 months, which at £16 is pretty good in my opinion, plus it’s meant to help extend the life of your makeup brushes and they smell fab afterwards too! So do you think this is something you would use or do you have any other brush cleaning alternatives to suggest?